Register Log In Home Forums Trapper Talk Fleming Outdoors? Has anybody ordered from them before? I ordered online close to 2 weeks ago. The next day they charged my debt card for the order. Nothing has arrived. No email saying order shipped. Nothing. I emailed them on Friday about the order but nothing back yet. You should've got a confirmation email right away that would have tracking info. I wouldn't expect any response until Monday. I have ordered from them. Had no issues. Usually a business day or two before confirmation email with tracking info. 2 weeks seems like a long time. My stuff came in about a week. The sharpest hammer in the box of crayons. I got the conformation email right away. It said order status,blank. Track #,blank. If it don't show up on Monday I'll call them. Yeah I would call them. I don't think they are trying to do you wrong. Could have been a simple mistake by someone somewhere or a glitch in the computer system. No email yet. Guess I'll have to call. They never did answer the email so I called them today. 1 of the items is on back order. 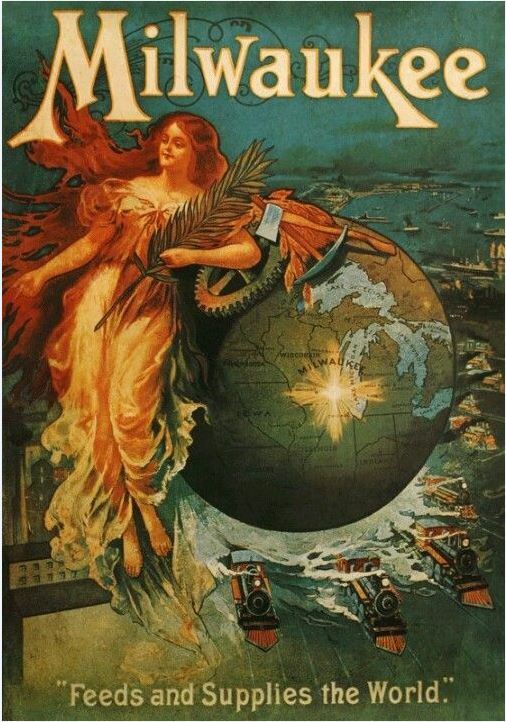 They didn't know when it would be in. So instead of shipping my other stuff and a note saying things were back ordered, they did nothing. They just sat on my order. Could of called or emailed. So now they're sending the other stuff and will ship when the my stuff comes in. I'm a little POed right now. Not what I would call good business smarts. I would really be mad if it was trapping season and I needed the stuff!! Hopefully they will ship the back ordered item for free. Seems like the right thing to do. I got half my order and I'm really not happy now! 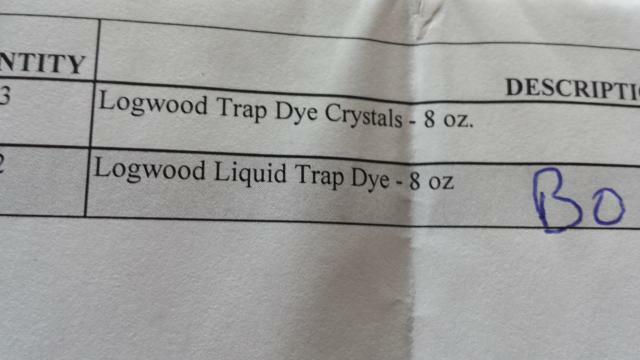 They sent 2 bottles of liquid trap dye. They never even checked to make sure the lids were on. 1 of the lids wasn't on and it leak half the bottle all over the package. All of the other trapping supply co. I've ever used tape the lids closed. The bubble wrap was soaked with dye running out of it when I opened it. The lid was still in it. This was the 1st and last order they will get from me!! MTP and F&T from now on. Never had bad service from them. Also the invoice that was sent shows that whoever packed my stuff up didn't have clue about trapping things. It shows that the leaking trap dye I got was back ordered and the other dye I ordered was sent. I couldn't load the pics of the open bottle of dye. It would let me show the invoice.. I just went to their website to complain about what happened. You click on the go to email for them and I'm guessing they don't have email anymore. There's no email link! Last edited by imissed; 04/20/18 06:32 PM. Instead of coming on here complaining, why don't you just CALL THEM and tell them what happened with your order. The only way they can fix the problem is if you let them know what happened. We've all been frustrated when ordering supplies before but if handled correctly these problems get solved. I've never done business with them personally and don't know much about them but your complaining would not stop me from ordering from them it I wanted to. Last edited by BBarnes; 04/20/18 06:35 PM. B, if you read the whole thread you would have seen that they've messed up on my order from the start. And now this. They will get a call. And you can order from them all you want!! I won't!! Read your whole thread, don't understand why you didn't call them in the first place and take care of the issues instead of bashing them on here first. The only way they can fix the problem is they have to know about it. Person to Person, phone call.